Servicing Status: Full service by KSR will commence post-sale. Remarks: Korg produced something special when they designed the Mono/Poly, and is still one of the best vintage synths you can buy for your money. A 4 VCO polysynth with oscillator sync, SSM Chipset Low Pass Filter, built in arpeggiator & assignable sequencer, chord memory and a lot of modulation and external control options – what’s not to love! 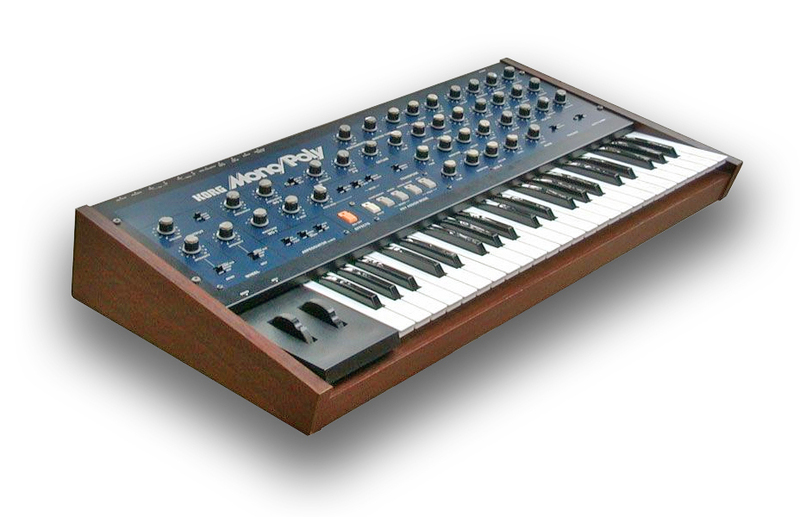 A sweet sounding vintage synth that packs a punch which we highly recommend to you. As with all Brokered Sales, the synth will be fully serviced post-sale before it’s sent to its new owner. We do this to ensure that the instrument leaves us in perfect operational condition, and it is backed up by our full warranty to give the new owner complete peace of mind. The servicing is carried out as a priority once the the sale has been completed, and although it will delay shipping/delivery by a short time, we know from experience that customers are happy to wait. Guide Price Post-Servicing: WAS £1290 GBP **PRICE REDUCTION** – NEW PRICE IS = £1150 GBP. Availability: This Mono/Poly is now SOLD as at 4th October 2013.